I get too many irrelevant Facebook notifications from friends of the activities which do not involve me at all. This include status updates, posting pictures, sometime comment replies and what not. I am not sure if I get these from all friends or a chosen few. I tried contacting Facebook support so many times. Never received any response. "Get Notifications" option is already unchecked for these friends. 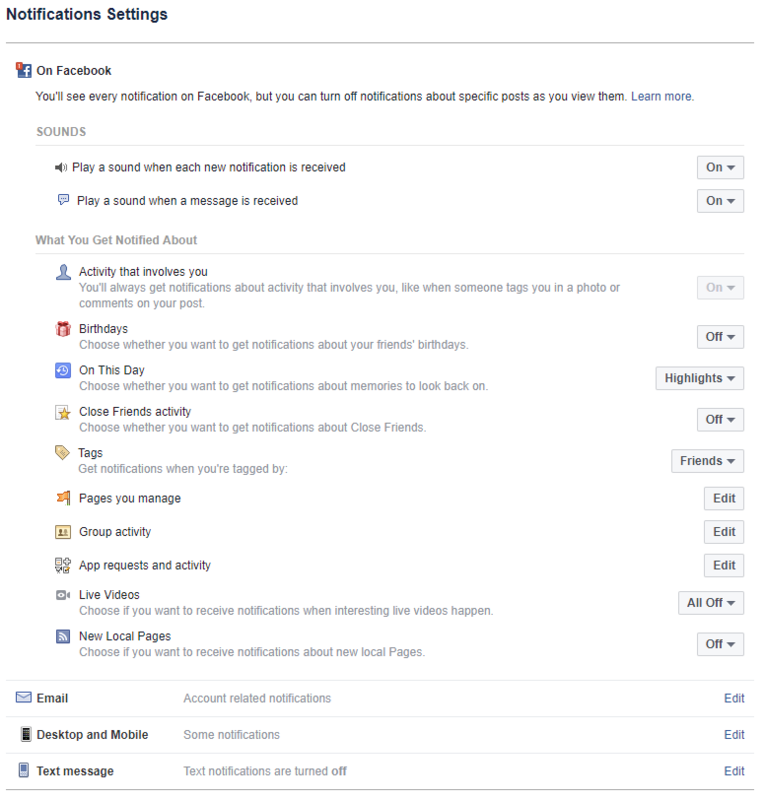 I even tried enabling "Get Notifications" and then disabled it just to make Facebook aware of it but it didn't stop notifications. It looks a like a way to keep me active but instead it has made me leave Facebook for a very long time. What settings should I do to disable these notifications? It's Facebooks way of getting you to use more Facebook. Which in your case, failed miserably. They send these notifications to people who haven't had much of interaction on facebook to have a page full of notification. Unfortunately, the way to get rid of these is to use more Facebook, get more friends and to interact with them. Just so that they can replace these notifications with something else. Source: I've seen those when my mom signed up for Facebook and abandoned it for some days. Her notification was full of these craps. Some friends are designated "close friends" and you get updated on everything they do. Try checking specific friends you get a lot of notifications from. Make sure they're not listed as close friends (Sometimes FB will do this without telling you). 1. Go to the profile of the friend in question. 2. At the top of the profile, in the cover photo, locate the friend status dropdown menu. It's on its own row. 3. Change status from "close friends" to "friends" or "aquaintances." You'll have to do this for each friend. Report back if it works! First make sure that these friends are not added any kind of list like Close Friends or any Custom List. Click down arrow in the top-right and select Settings. Click Notifications in the left column. Click Close Friend Activity, then click On Facebook. If you're getting notifications when people post and they aren't on your Close Friends list, learn how to receive fewer notifications. Not the answer you're looking for? Browse other questions tagged facebook notifications facebook-notifications or ask your own question. How can I “unsubscribe” from a message thread on Facebook? How to post to Facebook Page when “allow anyone to post” is disabled and “post as myself” enabled? Comments on 9gag don't get any notifications on Facebook? 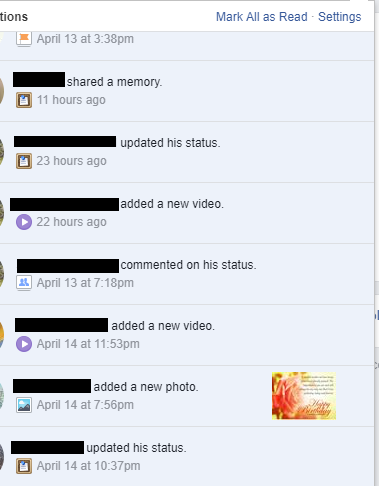 Is there a way to turn off Facebook’s spammy page notifications?